Dorothy was born in 1915. She passed away in 1963. 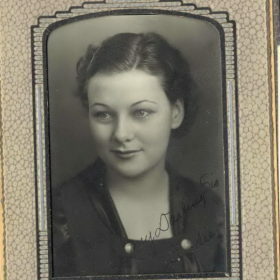 When Dorothy "Dode" Samantha Pier was born on August 10, 1915, in Belvidere, South Dakota, her father, Leonard, was 29, and her mother, Edith, was 26. She married Harold Eugene Adams on October 10, 1936, in Hughes, South Dakota. 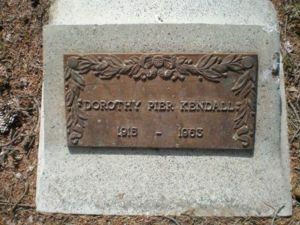 She died on July 30, 1963, in Rapid City, South Dakota, at the age of 47, and was buried there. No known carriers of Dorothy's ancestors' mitochondrial DNA have taken an mtDNA test and no	close relatives have taken a 23andMe, AncestryDNA, or Family Tree DNA "Family Finder" test. Dorothy is 46 degrees from Graham Chapman, 31 degrees from Janet Wild and 21 degrees from Henry VIII of England on our single family tree. Login to find your connection.